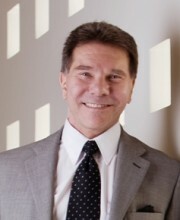 Robert B. Cialdini PhD grew up easily persuaded by people. He constantly found himself with things he didn’t want, from magazine subscriptions to tickets to events he had no interest in attending. It was because of this that he had such an interest in the subject of compliance and why, as an experimental social psychologist, he began his research in this field. Robert noticed that there were certain patterns of behavior that would make people comply with your requests. These compliance techniques are quite sneaky and are deeply rooted in our upbringing. An example would be listening to someone in a place of authority – Where most of the time the advice is sound and well founded, the danger comes when the authority figure is wrong and we don’t question it. To gain even more understanding of the different tactics used, Robert would go as far as answering ads for encyclopedia sales organizations. This allowed Robert a first-hand view of how these tactics were employed. Using a number of sometimes hilarious stories, Robert clearly lays out the 6 ‘Weapons of Influence’ that are used to get people to do what you want them to. Each weapon – consistency, reciprocation, social proof, authority, liking and scarcity – is laid out in easy to follow chapters, making the book not only a great read, but also a valuable reference guide. Here’s one of the most fascinating “weapons”, how to harness it and – perhaps as importantly – how to resist it. Beware the good advice of someone in a position of authority. “…precisely because, once a legitimate authority has given an order, subordinates stop thinking in the situation and start reacting”. Consider the serious problem that can arise when a doctor make an error in judgment and the people around him blindly and unquestioningly follow his direction. For what can often be a serious issue with dramatic ramifications, Cialdini shares one of his more humorous stories about a doctor who gives an order for ear drops to be administered into a patients ‘right ear’… but abbreviates the order to read ‘R ear’. Combine a nurse unquestioningly following the doctors’ authority with doctors’ notoriously illegible cursive, and you can easily imagine where the ear drops ended up. Using titles, clothing and accessories helps get what you want. Think about the things that people in authority tend to have: A title, certain clothing and accessories. Let’s look at a police officer. They have the title, they wear a uniform, have a gun, drive a police car. All of these things unconsciously affect your judgment when being asked to do something. The very presence of these “authority badges” encourage us to respond complacently, before the officer has even had to say a word. In the same vein then, think about how you speak to a VP level executive verses someone at the manager level. VP’s typically dress in suits, are clean cut and, as a result, their requests carry much more authority when asking you to do something. It works the same when calling on prospective clients. Make sure you dress the part when speaking with clients so they give you the proper respect, and you get the sale. Of course the police officer example above is a no-brainer but consider this question. If you came to a traffic light that was green and there was a car in front of you blocking your way, would your decision to honk at the change if it was an older economy car or a new luxury car? We automatically give the more ‘successful’ person in the luxury car more respect than the ‘less successful’ person in the older economy car. So what can we do to determine if we should be listening to these people in authority? Most of the time these authority types are looking out for our best interests. But what if what they are asking of you has nothing to do with the authority they have? Cialdini sites an interesting study that was done in Texas. In the study the researcher dressed up in a nice business suit and illegally crossed the road while someone else counted the number of people who followed him. Then the same person dressed up in a work shirt and trousers and crossed illegally at the same spot. This of course was repeated a number of times. 3.5 times the amount of people followed the business man’s lead vs. the same man dressed up in the work shirt. Technically, the gentleman’s clothes have no bearing on his abilities to cross the street. However, due to his perceived authority, 3.5 times the people follow his actions. Influence: The Psychology of Persuasion is a fascinating book on how to use the different tools of influence to get what you want and how not to fall prey to them. While the book won’t make you an expert in the art of persuasion – just as a great sales book won’t make you a stellar salesperson – it will give you some great ideas to try; ideas that do promise to help you get what you want. The real fun lies in trying out the different tactics in your daily life. Just make sure your intentions are noble.